What's the question authors of fiction most want readers to ask? (No, it's not "How much?") I submit it's "What happens next?" Or as we say in New York, "So what happens next?" We're storytellers, and we want to engage our readers so completely that, like Scheherazade's husband, they wouldn't dream of shutting us up, much less killing us, before they find out how the story ends and, even better, how the next one starts. I'd already thought of writing on this theme before I knew that today's would be my last for SleuthSayers except for an occasional guest slot in the future. Yes, this is my farewell to my delightful SleuthSayers blog buddies and the readers who have been kind enough to keep up with my rants and disquisitions on everything from cellphonismo to the latest crop of clichés, from murder ballads to mayhem in the Hamptons, from stalkers to stuffed animals. After more than two and a half years blogging here every other Saturday (and seven years of weekly posts, until this past January, on another mystery blog), I've decided to take that creative energy and apply it to the writing of my next novel. That's the barebones version of what happens next in my writing career. There's a lot more to it. 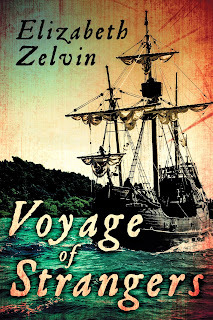 Until mid-February 2014, I thought that Voyage of Strangers, my historical novel about what really happened when Columbus discovered America (and sequel to two short stories that appeared in EQMM a couple of years back), was going to be my last novel. After 150 agent and editor rejections, I put the novel up on Facebook as an indie e-book, where my best efforts weren't enough to take it viral and I felt unwilling to pour my heart and a year of my life or more into the same discouraging process all over again. What happens next? Enter my very own fairy godmother, in the unlikely guise of a senior acquisitions editor at Amazon Publishing. She loved Voyage of Strangers! Amazon's Lake Union imprint (literary and commercial fiction) wanted to give it "the audience it deserves"--magic words if ever I heard them, and they weren't the only ones. They said "advance." They said, "It's your book. 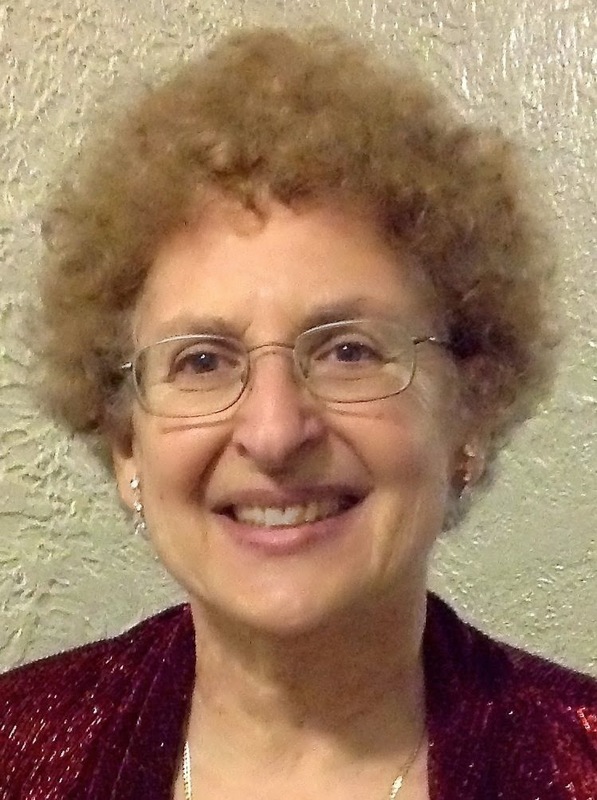 You'll get thorough editing, but you're free to reject any and all changes you don't want." Best of all, they said, "Leave the promotion to us." After I'd finished pinching myself and asking if I was dreaming, I found myself more than willing for "next" to be writing another novel: the sequel to Voyage of Strangers, in which readers can find out what happens next to my protagonist, the young marrano sailor Diego Mendoza, and his sister Rachel. What could not happen next was a continuation of Diego's and Rachel's relationship with Admiral Columbus in the New World. At the end of Voyage, they are heartsick at the genocide of the Taino, which they can do nothing to prevent, and sail back to Europe at the beginning of 1495. Nor can they return to Spain, where the Inquisition is pursuing any Jews who might not have complied with the Expulsion in 1492 or converted to Christianity but whose sincerity might be tested by torture. Just as the backbone of crime fiction is the progression from crime to investigation to solution, the backbone of historical fiction is what really happened. Here's what really happened to the Jews: many of them fled to Portugal and parts of Italy where Jews were still tolerated, such as Sicily and Firenze (Florence). In Voyage, I sent Diego's parents and older sisters to Firenze, where the Medici were willing to harbor them. Diego and Rachel expect to find them there. Oops. Early in 1494, King Charles VIII of France invaded Italy, including Florence. The Medici fled, and so did the Jews. Many of them ended up in Turkey, where Sultan Bayezid II of the Ottoman Empire allowed them to settle. In Portugal, within eight months, King João decided he didn't want the Jews after all. They were given a choice between leaving, converting, and being killed. Worse, he ordered the abduction and enslavement of two thousand Jewish children, who were forcibly converted, thrown onto ships, and transported to São Tomé, a pestilential island off the west coast of Africa, where those who survived would work the sugar plantations alongside slaves from the Guinea Coast. So Diego and Rachel will have to cross war-ravaged Europe (where starving, unpaid soldiers would descend on villages like locusts in miles-wide swarms) and then to Istanbul in search of their family. Meanwhile, a young girl is torn from her family on the Lisbon docks and marked for slavery in São Tomé. Don't you want to know what happens next? So do I! And that's why I've got to give up blogging and write Journey of Strangers. The new edition of Voyage of Strangers--e-book, trade paperback, and audiobook--will be out in September. My Bruce Kohler mystery series--Death Will Get You Sober, two more novels, a novella, and several short stories--is all available on Amazon. You can find me on my website at elizabethzelvin.com and on Facebook at www.facebook.com/elizabeth.zelvin. Finally, I have new short stories coming out soon, one in AHMM and two in Sisters in Crime anthologies. Note: As this post appears live, you're seeing my new headshot, taken on my 70th birthday, and getting the first look anywhere ever at Amazon's wonderful new cover for Voyage of Strangers. Highly motivated once more, I'm 35,000 words into the sequel, which tells an even more dramatic story of the Iberian Diaspora. I can hardly wait to share it with you all! I really like your new cover- and the head shot. Very best of luck with all your writing- you will be missed on Sleuthsayers. That is truly wonderful news, Elizabeth! We will miss you here at SleuthSayers, and I wish you the very best of luck with the release and its sequel, though I don't think you'll need it. The cover is terrific. Liz, I couldn't be happier for you. Congrats on the book, and good luck with the sequel and with all future endeavors. I agree with Janice and David, by the way: great cover! Liz, congratulations and gook luck on the sequel. We certainly will miss you. Best of luck and don't be a stranger here! I hadn't realized the Ottoman Empire helped Jews fleeing the Inquisition. Indeed, you mention several bits of history I hadn't known. Great cover, Elizabeth, and we've been fortunate to have you. Best of luck, Liz, and come back to visit as often as you can. Yes! Wonderful news! And yes, sorry to see you go! Have fun!! We'll miss you, but what great news! Congratulations! Elizabeth, this success couldn't happen to a more deserving person. Congratulations on the Amazon contract! And, to paraphrase Tony Tiger: "You look Grrrrreat!" in that headshot. You sure you're seventy? My dad's in his seventies, and I wouldn't worry about him if he looked half this good.